You can make your home can look a lot better without breaking the bank. Here’s how. Home improvement doesn't have to cost thousands of dollars to make a real impact on the way your house looks and feels. There are several small yet significant things you can do to improve your quality of life as well as the overall theme and style of your home without spending a lot of your hard-earned cash. If it's time to make some changes, but you're not ready to shell out a lot of money, try a few of these helpful ideas that can refresh your home and add new interest for potential buyers. These changes will also help you enjoy your home even more without breaking the bank. Rather than pay a professional landscaper to grade your lawn and plant expensive shrubs and trees, you can create your own curb appeal for a lot less money. Install some simple window boxes and plant fresh flowers in them to bring a pop of color to the outside. You can also purchase nice plants for the front yard at your local home improvement store and plant them yourself. If you have a green thumb, wait towards the end of the season to get plants on clearance. Painting your door a new color can also make it look beautiful and inviting. Add a few pieces of new patio furniture or install a new porch light fixture to make small yet significant changes at a decent price. 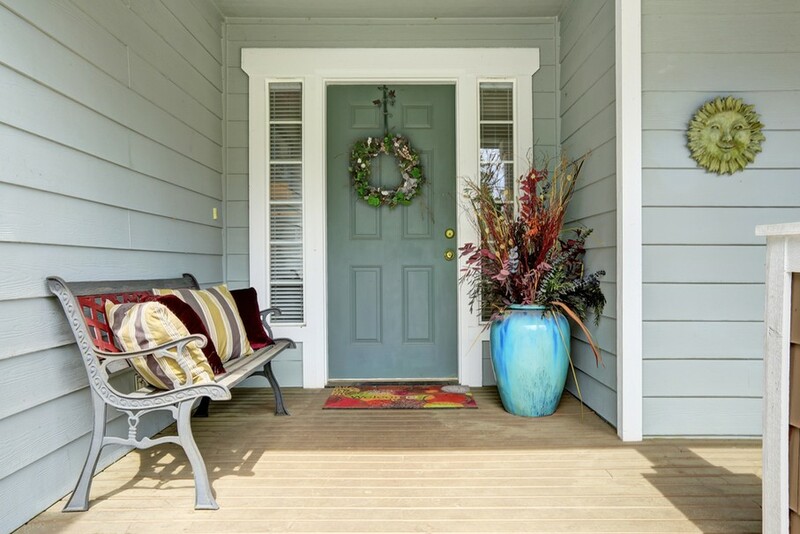 A bench on your front porch brings your space an inviting, welcoming look. Older brick fireplaces are cozy, but this look isn't usually on the radar for most modern home buyers. Instead of spending a lot on getting the fireplace completely re-tiled or new stone added over the old facade, a few coats of paint can work wonders. Before you paint the brick, clean off any dirt and grime, and make sure all of the soot around and inside the fireplace is completely cleaned. Then, add a coat of primer before you paint the brick. Choose a neutral color that has a lighter hue so the room feels bigger, fresh, and more modern. Be sure to use special fire-retardant paint that won't peel or melt whenever you use the fireplace. The lighting in any room can really change the way it looks. Update your home's outdated fixtures by adding new pieces that will garner interest. Choose several colorful glass pendant lights to go in the kitchen above the counters or your island. If you have an older style chandelier in the living or dining room, change it up by installing a brushed nickel modern fixture. Track lighting is also a great way to be able to point light in different directions and give any room a modern twist. 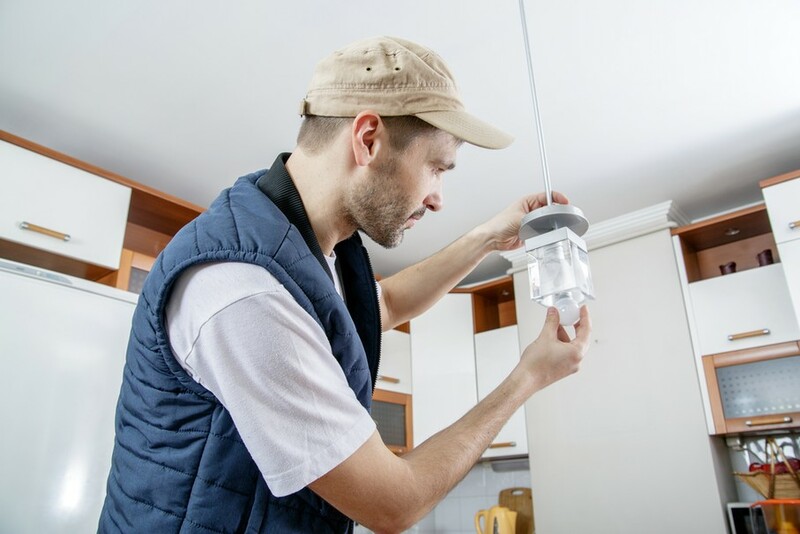 You don't have to be an expert in electrical work to install lighting fixtures. Most can be installed easily and simply by following the included directions. New ceiling fans are also a great update that can completely change the look of any room. The flooring in your home might not need to be completely replaced. Most of the time, improving the look of your floors can often be a matter of simply giving it a good cleaning. If you have carpet, get them professionally steam cleaned. Alternatively, if you want to save money you can rent a steam cleaner and do it yourself. Ceramic tile floors can also be steam cleaned, and it will give your grout a fresh cleaning as well. Dirty grout can wreak havoc on the way your floors look, so this simple step will make a major improvement. 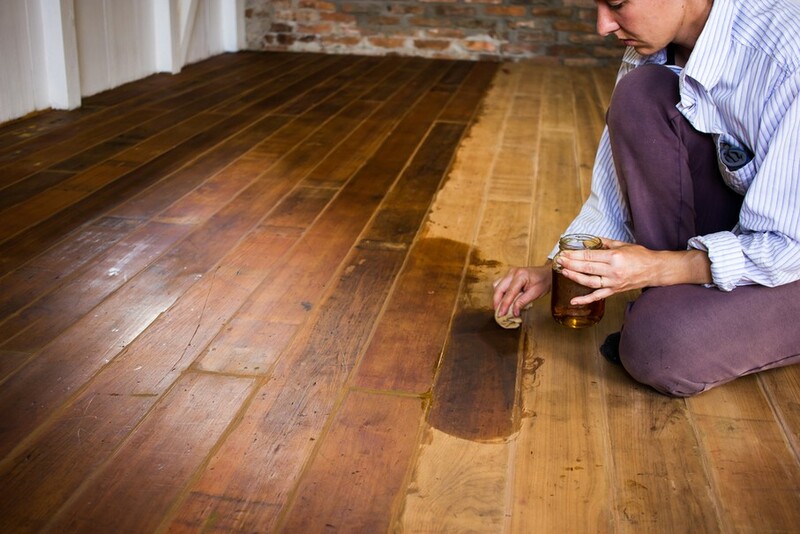 For hardwood flooring, simply add a new fresh coat of stain and then apply a coat of protective wax to make it look new again. With a few simple changes to your home, you'll definitely notice how much better it can look without breaking the bank. Don't be afraid to add new decorative items as well such as funky bookends or a new floor lamp. Have fun with these projects and perform one small change at a time. Eventually, you'll see those changes add up, and you'll be able to take a step back and see how these simple tweaks can visually transform the look of your home.